Hey, Bearmanauts! Duran here to bring you another webcomic review! Hope you’re all enjoying the holiday season! This week’s number one choice is Puck created by the ElectricGecko! 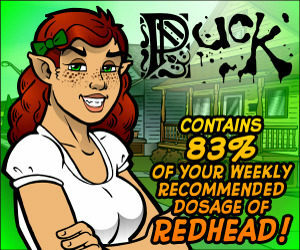 Puck is one of the most popular webcomics online. I’m sure after reading the review about this gut-busting comic, you’re going to head on over to the site and devour every comic from beginning to end, absorb every single syllable with utter gusto! I know I did! Puck is a weekly comic started by ElectricGecko back in 1998. While in his animation program he decided to jump headfirst into this passion project and he never looked back. The initial Puck run actually predates Google which makes it one of the older of the current crop of webcomics online. The creator likes to refer to himself as ElectricGecko to keep his teaching career and his webcomic career separate. After some time of doing the comic book, he stopped at Puck 80 in February of 2000, only to come back to it and presenting it in 2013 on DeviantArt. The support he received was tremendous enough that he started consistently turning them out and hasn’t looked back since! He’s currently working on issue 367! This is a testament to not giving up, kiddos! Don’t lose track of your dreams, and no matter the journey or how elusive the path. Stick with it! Now let’s get to the comic itself! Puck is a satirical comic that pokes fun at pop culture and various events. It’s a wonderful story about a red-headed unemployed fairy(ish) mother with anger management issues named–Puck! Once Puck finds a tot named Daphne on her doorstep and decides to adopt her. Now a mom, she decides that her clearest path to success is to get a college education. Puck is a character that’s very loosely based on a Shakespearian character who itself is based in English folklore. That would make her over 600 years old, but she never mentions her past. The story was originally intended to incorporate folklore and such characters but that idea was superseded by the idea to make it more about contemporary satirical situations. The story generally keeps within the PG-13 range and doesn’t delve into the NSFW content. It’s generally episodic without any major story arcs. It’s a light and irreverently humor-filled comic. The artwork is superb and crisp. What’s wonderful about the comic book is the consistency. One gets pretty spoiled week by week seeing the crisp, professionally done character designs as well as the top notch lettering and colors all done by ElectricGecko. It’s obvious by reading the comic book that it took great dedication to make so many of these webcomics (over 361 episodes so far). The supporting characters are numerous, each with their own unique personalities and appeals. It’d take forever to even begin to delve into the Puck world. It’s a glorious read for anyone that wants to kick back and who’s looking for a light-hearted escape. 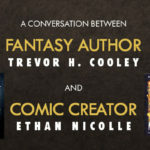 As of this writing, Puck is ranked 21 on Topcomics.com support his ascent to the top! Hey Bearanauts! Duran’s back to share with you another amazing webcomic review! 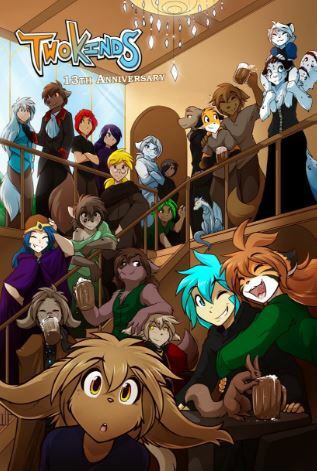 This week, we’ll be checking out TwoKinds, which is an amazingly beautiful and refreshing story created by Tom Fischbach. It’s been around for over 13 years and it’s going strong in popularity online. 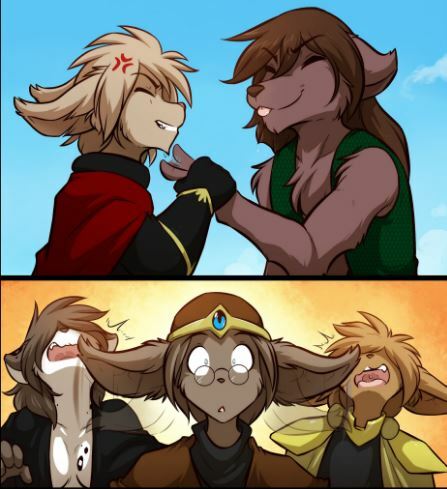 Twokinds is a webcomic that must resolve its racial tensions between conflicting groups: the human-like people and the animal-like beings called Keidrans. They have a very different idea of what is the way to live and go about their lives. Their differences in customs and traditions have caused conflict and stratification between the two groups. The story kicks off with the world at the brink of war. In a twist, it is revealed that it is being manipulated by a human who has no memory of the crime he perpetrated. In this world, there’s three major races, the Humans, The Keidrans, and the Basitins. The Humans are the more technologically advanced and curious race who use their tech to subdue and enslave many of the Basitins. The Basitins are a shorter lived, feline and canine race of beings who share a centuries old, collective contempt for the human beings. The Basitins are a generally furry race. They keep themselves isolated from everyone. Theirs is a more hive-like spartan type of society. The story begins from the perspective of a human named Trace who must resolve to regain his memories and discover what role he’s playing in this volatile world. What’s great about reading webcomics is that one gets to see the progress from where it started, and as you read along, you continue to see it advance and grow. The storytelling devices become more sophisticated and effective. Reading TwoKinds is a perfect example of following the development and the creative evolution of the talented Tom Fischbach. There’s a lot of teenage angst, and hormonal elements to this web series, but it doesn’t get carried away. It’s something that teens and preteens can relate to, like budding relationships, being self-conscious, jealousy, crushes, etc. If you get a chance, be sure to check out this comic book! You would be very happy you did. It tells an elaborate story without being convoluted. It’s a great escape and one of the top-notch more quality webcomics out there today! 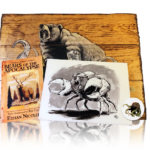 Today is Cybear Monday and I have just added a new item to my store called Bear so the Bundlepocalypse, it is a collection of bear and Bearmageddon related items that are exclusive to my store and reduced when bundled together. On top of this, the bundle comes with a coupon for 20% off any shirt in my store AND today is Cybear Monday, which means you already get 15% off when you use the CYBEARMONDAY coupon code. UPGRADE to Bear Obituary Premium to add a digital AND printed bear obituary. I recommend Axe Cop fans also check out the Head Chopper Bundle. Click here to enter my new store. Original art, limited prints, books, shirts and more are available. Please order by the 5th of December for Christmas gifts. Stay tuned to my social media channels for updates on a Black Friday sale and a Cyber Monday sale.